Curriculum Questions... and, yes, the power of random! Today's post is related specifically to events on my campus, but I hope it can have a general message for other educators here at the Community. And while I start off talking about curriculum issues in general, I share some specific Canvas strategies at the end too! So, given the tumultuous news cycle lately, you might not have followed all the goings-on at the University of Oklahoma. The most comprehensive overview is at the Chronicle of Higher Ed, and it's currently featured story at the site's front page: Hired to Fix Finances, Oklahoma’s New President Now Faces a More Delicate Task (paywalled, but OU people can access the Chronicle via OU Libraries). There's also good coverage the OU Daily, our student newspaper. 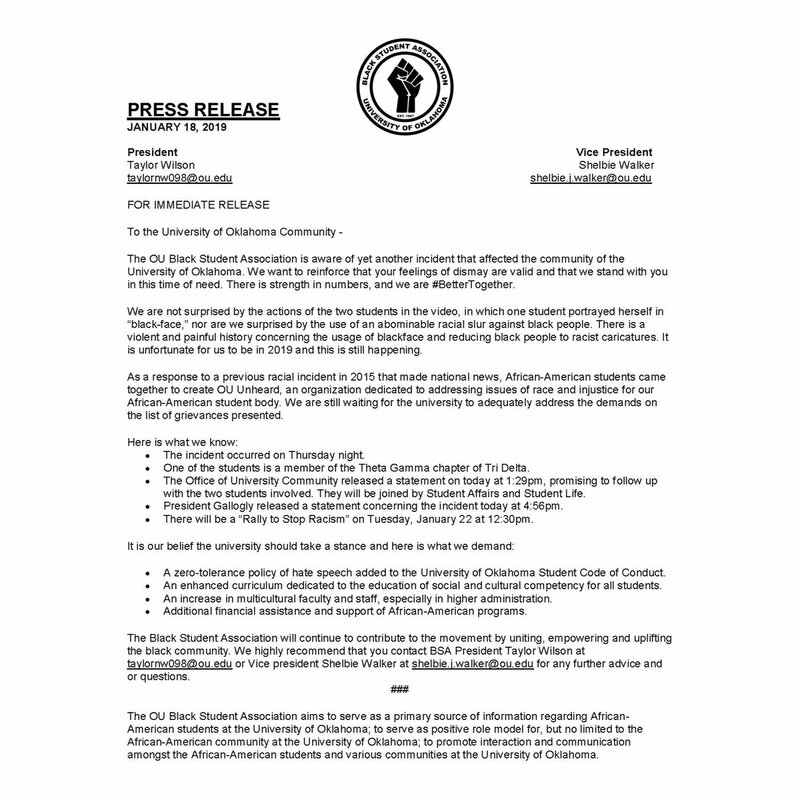 The Daily printed the demands presented by the Black Student Association, and President Gallogly's response, but Gallogly's response does not make any reference to the specific demand about the curriculum: an enhanced curriculum dedicated to the education of social and cultural competency for all students. I hope very much that this demand will get the attention it deserves, and that my school will engage in a wide-ranging discussion of how the curriculum is part of the problem we have with racism on our campus right now, and how a different curriculum could also be part of the solution. This is obviously a huge topic, so I am just going to touch on a few points here, based on my 20 years of teaching at OU, and specifically my role in teaching for our General Education program. We need PLURALS. The idea that there is a single/singular "Western Civilization and Culture" is a foolish and dangerous idea. It should not be enshrined like this in our curriculum. We don't need OTHERING language. The very term "non-Western" divides the world up into an "us" and a "them" who are "not-us." And what happened to "civilization" here? Seriously, this is very weird: the Gen. Ed. requirements posit a Western Civilization, but no Civilization beyond the West? The mind boggles: "Western Civilization and Culture" versus "Non-Western Culture." We need more than TOKENIZATION. The idea that taking one "Non-Western Culture" course constitutes a "general" education is absurd and insulting. The homepage for the General Education program is full of self-congratulatory language about breadth and depth, but that is not what we see in these requirements. There is no way that a serious education in the world today is going to happen with a one-course-here one-course-there approach. Instead, we need for ALL courses at the university to be informed by the world around us and the ways that the world is changing. That means cultural change, political change, climate change, all the changes. Historically, universities have been culturally conservative places with many institutional practices in place that make change difficult and slow it down, and that is especially true of the curriculum. So, here are just three ideas I have for what we could do at the institutional level to help bring about changes to the curriculum, along with three things I do in my classes to make sure they keep changing (and that's where I will talk about Canvas, I promise!). INSTITUTIONAL LEVEL. These are the top things I would like to see, from my perspective as an instructor. 1. OPEN SYLLABUSES. Students need to be able to see syllabuses for classes in advance, way in advance, of enrollment. The new Bookstore system makes it easier to see what course materials are being used, but students should also be able to see syllabuses too. Instead of choosing courses just based on titles and often outdated course descriptions (plus Rate-My-Professors), students should be able to get detailed information about the content and course design of the classes they are considering. Also, for me as an instructor, being able to learn more about our curriculum in this way would be extremely helpful. 2. COURSE DEVELOPMENT. There should be rolling course review and course consultation to assist faculty in improving their courses, both content and course design. Every course can be improved and should be improved; we should all be working on that, and we should be able to get help and work together with others. In particular, faculty need to be challenged to think about social and cultural competence per the BSA statement above, and students should be part of that course review process. If we can make this a community effort, we will all be able to learn more about how to do a better job with our courses. 3. GENERAL EDUCATION REVISION. It is surely time to re-think the General Education program from the ground up with a community-driven and participatory process. Such a process would take several years (the Penn State process is a good example), which is all the more reason to start now. I really do not want to spend the rest of my career teaching a course labeled "Non-Western," and the more new, alternative ideas we can get on the table at the start of the process, the better! MY COURSES. Finally, I'm going to share here some strategies I've used in revising my courses in order to make them a better social and cultural learning experience. 1. STUDENT SPACES. I build my courses as student blog networks, where the students design their own spaces and interact with each other in those individual spaces. One of the programs at OU that I am most excited about is the OUCreate project, which offers all students, faculty, and staff at OU an opportunity to create their own web presence and share what is important to them with the OU community by using the Internet in their own ways. 2. DIVERSE CONTENT. I challenge myself to keep finding ways to bring more diverse content into my classes. For example, I received a grant from the excellent OER initiative through the OU Libraries to bring more work by Indian writers into my Indian Epics class. When I first started teaching the Indian Epics class in 2004, I featured texts by an American author and an Indian author; yes, I had "balance," which was okay, but not great. Now I have a huge range of content in the class, with the students able to choose from an array of different authors and formats. The diverse content has made the course so much better! So, if I have over a thousand books in the free online book library for my Myth-Folklore class — and I do: Freebookapalooza —I use randomizers to continually surface those materials: every time students come to my Canvas homepage for that class at Myth.MythFolklore.net (click: it's open to all! ), they see a random free online book, along with a random student project from the vast archive of student projects, plus random videos to watch from the vastness of YouTube, and so on; there's something different every time the page loads. That's the breadth. And depth: well, that's up to the students. But if they see a book or a project that catches their attention, deeper learning is just a click away. So, those are some ideas I can share that have worked for me, and I've also shared here my hopes for curriculum change as part of all the many changes we need to see at my school. Will there be a larger conversation about all of this? I sure hope so. Twitter is one place where that is happening, and you can find me there: @OnlineCrsLady. iframe to share all my widgets with any Canvas user anywhere! Do you mind if I ask what program you use for OUCreate? My school is shutting down an old server that we had for these pages and I haven't found a useful option yet. Thanks Laura! I will check that out. They are a complete pleasure to work with. Best support you can imagine!